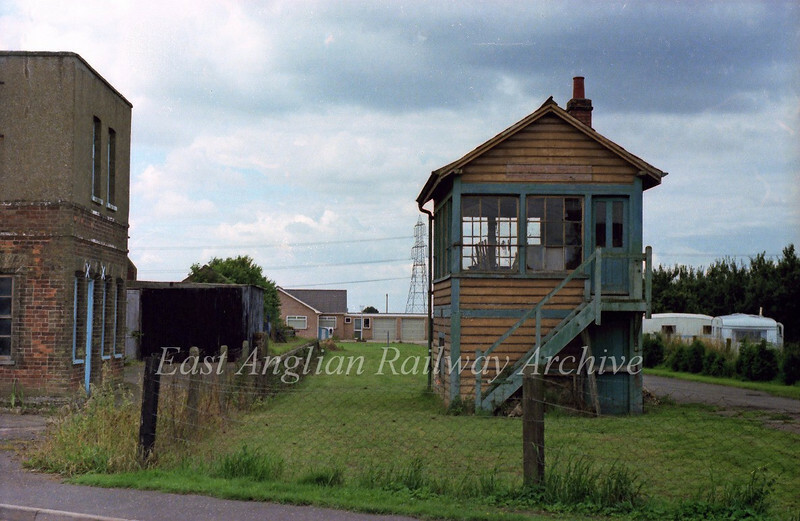 Smeeth Road, Norfolk on the Wisbech to Magdalen Road branch showing platform and signal box on 16th Aug 1978. The line closed to passenger traffic on 9th September 1968. Magdalen Road is now known as Watlington.